In Britain, it seems you can count how many days of sun we experience a year on one hand, so we can be forgiven for wanting to make the most of the hot weather. To combat UV rays as well as to complete an outfit, a pair of sunglasses is an essential summer accessory. There is always the temptation to purchase a pair of aviators, the classic style worn to great success by Tom Cruise in Top Gun, as well as Victoria Beckham and of course Magnum P.I. What we can often overlook, however, is whether we actually suit the sunglasses that we buy. 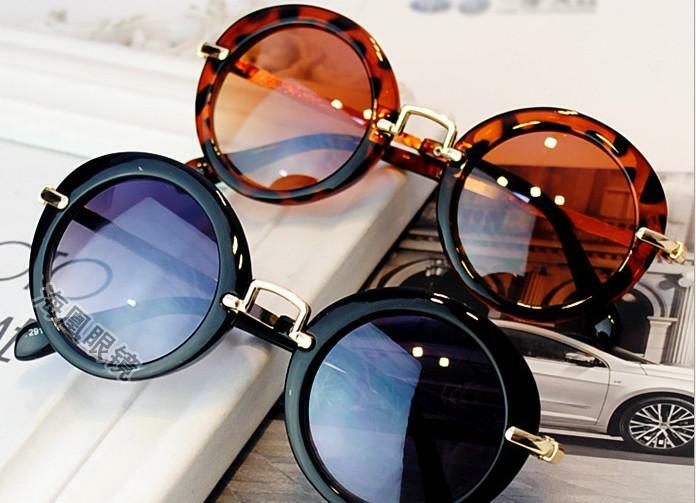 We take steps to wear clothes that show off the best features of our bodies, but very rarely do we consider whether our sunglasses do our face justice! Before buying a pair of shades, you should first consider your face shape and make a fashion decision based on that. This face shape is short with full cheeks and a round chin. People that fit this specification may be referred to as a baby-face, due to their characteristically young features. Rectangular frames complement round faces by contrasting the soft angles of the face with the harsh edges of the sunglasses. The straight edges also give the appearance of elevating your eye line, which therefore makes the face look longer and slimmer. Square face shapes may be quite short, but are blessed with a chiselled jaw line that would make Superman jealous. Narrow, oval frames with thick rims provide a great balance to the strong facial features. Furthermore, as square face shapes have such defined jawlines, you need to find symmetry in the thickness of the rims, otherwise your sunglasses will look like a mere a passenger resting upon your face. People with long face shapes are characterised as being facially slender with pronounced cheek bones, and could quite easily pass as a model. The key here is to cover a large proportion of your face with sunglasses to make it appear more balanced, and there is no better style of sunglasses for the job than aviators. If you have a long nose, frames which rest slightly further down are ideal for providing balance and comfort. After all, comfort is always the most important thing! Heart-shaped faces (also known as inverted triangles) have a broad forehead and get narrower towards the chin. These shapes benefit from shades that appear to add width to the lower half of your face. Sunglasses with a wider frame on the bottom would achieve this, and rimless frames work perfectly. If this is you, you’re likely to be very photogenic, so take advantage of a good pair of sunglasses to enhance your natural good looks. For a wide selection of sunglasses for both men and women, visit Foxy Specs to find a pair of shades that will complement your face as well as protect you from the sun.